﻿Con Kassis﻿ was born in Ioannina, Greece, on April 17, 1959. He first became interested in Karate at the age of 15, when he started to practice Shotokan Karate Do occasionally. It wasn’t until the age of 20 that he decided to take up Shito Ryu Karate Do. He became so devoted to learning, that rarely a day would go by without practice. In 1982, Con began to teach, and in 1987 he was introduced to Kenei Mabuni, an event which changed his life dramatically. 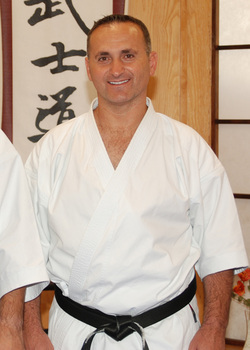 Kenei Mabuni, 10th Dan Grandmaster.